By Gary L from Cincinnati . OH. Rough and resistant ..... I like it !!!! First off it took me two to three weeks to decide on what bag to choose from. 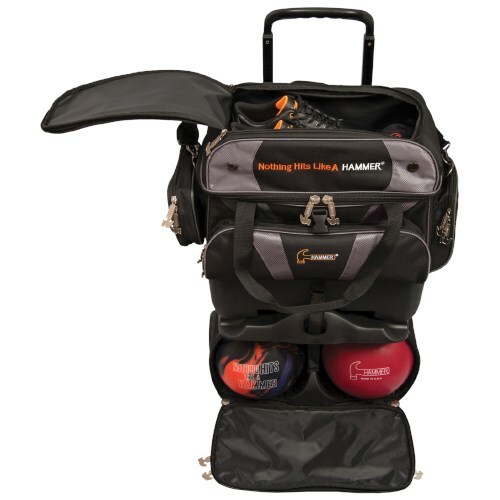 I' am more than pleased that I chose the Hammer bag, which is the same as the x strike.. Nothing of the negative reviews touch this item.. So far very pleased with this bag will give an update in a month or two, by the way the handle seems to be more than efficient!! 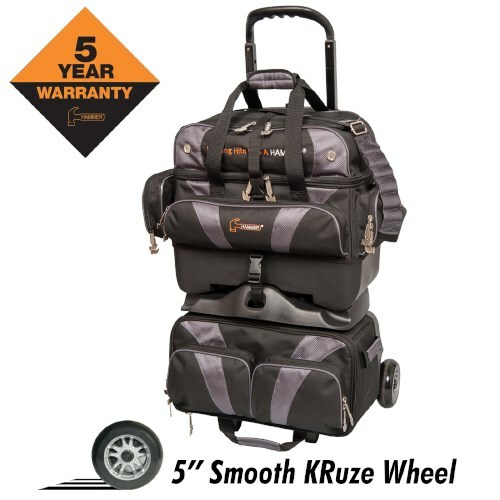 Extremely well built and sturdy bag. This bag exceeded my expectations. The handle is sturdy with no play. The bag is made with a fabric and zippers that should be durable enough to last nearly a lifetime. The hammer pulls and embroidered logos are a nice touch. Wheels are quiet and smooth. The only reason I did not give it a 5 star rating is because, in my opinion, the handle doesn't retract enough. 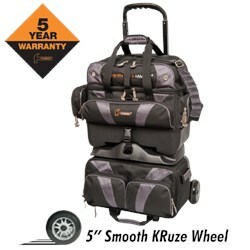 It will not sit upright in my car's trunk as compared to my wife's Storm Rolling Thunder four bag roller which will. I read the reviews on this bag and took the previous owner as mis informed or bias. 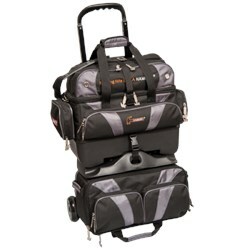 But believe me buyer beware the handle on these bags is totally weak. Mine stopped extending after two months if that very disappointed in this hammer product. Hello. This roller can store up to a size 15 in men's shoes. 0 of 5 customers found this answer helpful. Did you? Yes | No Did you find this answer helpful? Yes | No Thanks for your feedback! This roller will have a built in coupon of $5.95 which makes this item price restricted and you can not add extra coupons onto this bag. How far does the handle go down? Due to the time it takes to produce the Hammer Premium 4 Ball Roller Black/Carbon ball it will ship in immediately. We cannot ship this ball outside the United States.